FEB. 17, 2018 – SOUTH NORFOLK, VA Though it is quiet today, South Norfolk business boomed a hundred years ago. Come spring, the sleepy little former-town will boom again. 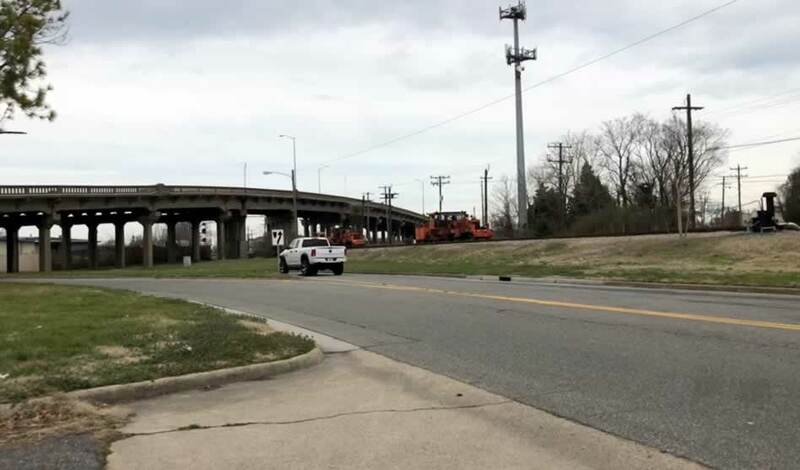 The 22nd Street Bridge is being replaced and rerouted to flow directly into Poindexter St. 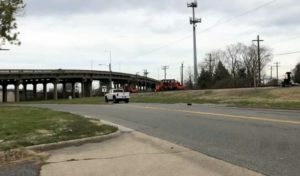 Starting in March 2018, the city of Chesapeake will begin construction on the new 22nd Street Bridge. Consequently, construction workers will come to South Norfolk every weekday. Some of them will need lunch, or a soda, or maybe some laundry detergent to take home after work. This week, the City of Chesapeake began demolition of the old bank building at the end of Poindexter. Traffic could be heavy, but also, local revenues could soar. Businesses that prepare for the activity to come will be the most likely to benefit from new volumes of traffic. Also in March, ForKids will plant a sign at the site of the group’s new headquarters, where the old library stood, on Poindexter Street. ForKids is Virginia’s largest provider of homeless services to children and families. 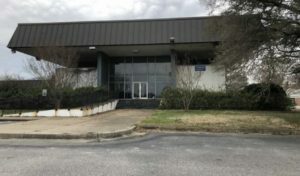 At least 100 ForKids employees will report to work in South Norfolk sometime in 2020. The South Norfolk Business Directory was established to help people find goods and services in South Norfolk, mostly from their phones. Basic listings are free forever for everyone. In 1918, Woodrow Wilson was president, and it was near the end of the Progressive Era, a period of widespread social activism and political reform across the United States. The Progressive movement worked to eliminate problems caused by industrialization, urbanization, immigration, and corruption in government. In 1920, women won the right to vote with the 19th Amendment. In those days, families were the center of society. South Norfolk streets bustled with pedestrians, a few cars, and horse-drawn wagons, carrying wares from the mills to the railroad. People stayed close to home for work, church, and school. Developers created plats in close proximity for economy of land, because that’s the way it had always been done in places destined to become important cities. Family homes were physically close, neighbors were emotionally close, and the community grew strong. The future is bright. After a period of urban decline, years of revitalization are starting to pay off. Planters and landscaping, brick crossways, and antique-look street lights take visitors back to yesteryear as they travel on Poindexter Street from Bainbridge Boulevard on the west to Liberty Street on the east. There are plenty of places in South Norfolk where people can buy lunch and incidentals. And that is why the South Norfolk Business Directory is here: to guide all the traffic looking for goods and services in South Norfolk to the businesses that want to serve them. Directory listings even show users how to get from where they are to the listing. Listings are free! Claim or create yours today! And get busy getting your business ready for more people and more activity to come!